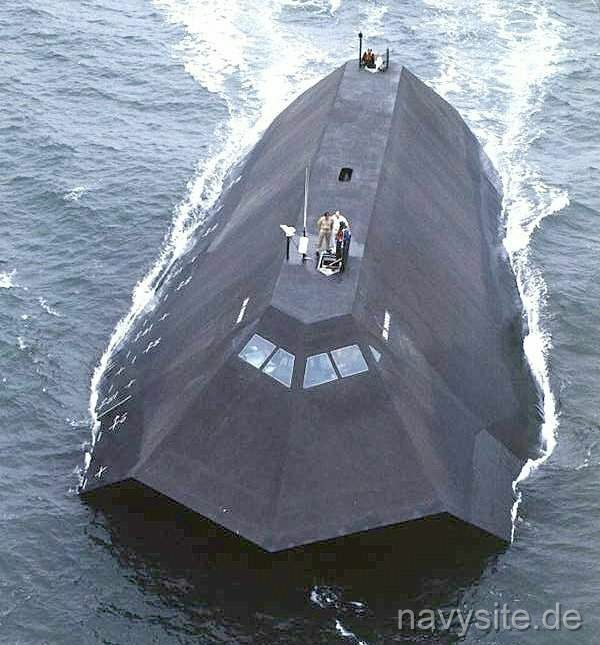 SEA SHADOW was a test craft developed under a combined program by the Advanced Research Projects Agency (ARPA), the Navy, and Lockheed Martin Missiles and Space Company. The SEA SHADOW program was begun in the mid-1980s. Its purpose was to explore a variety of new technologies for surface ships, including ship control, structures, automation for reduced manning, seakeeping and signature control. 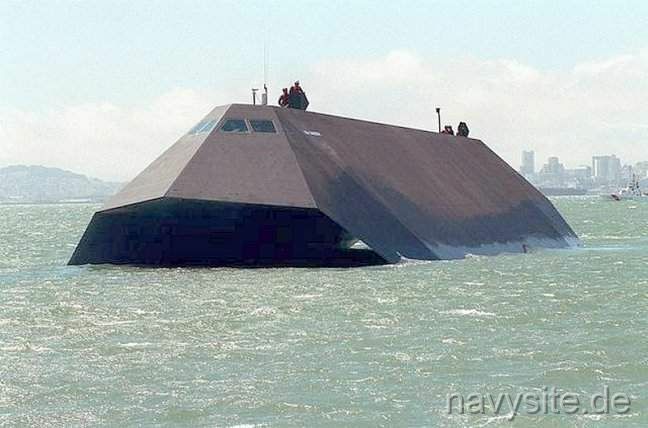 SEA SHADOW was built in the mid-1980s by Lockheed in the Hughes Mining Barge (HMB-1) in Redwood City, CA. The vehicle is 160-ft. long, 70-ft. wide, displaces 560 tons and has a draft of 14 ft. It has a maximum speed of approximately 13 knots and is powered by a twin screw diesel electronic drive. The ship has a maximum speed of 14 knots and is capable of operating in Sea State 5 (extremely rough) conditions. The vehicle cost approximately $50 million to build and the total test program was approximately $195 million over roughly 10 years. It was owned by the Navy and operated by LMSC personnel. 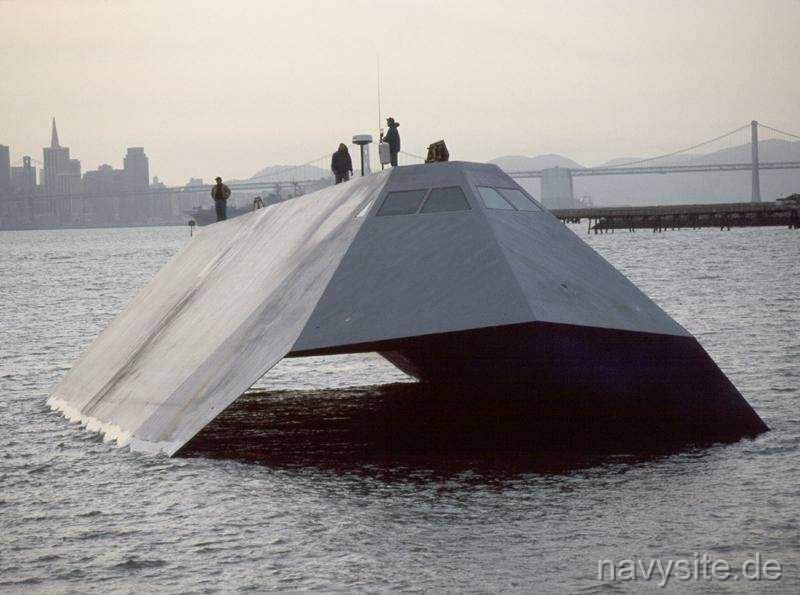 On 11 April 1993 Lockheed Missiles & Space Co. and the US Navy began daylight testing of SEA SHADOW off the coast of Southern California - the first time the craft was revealed to the public. Prior to that, all ship testing had been conducted at night, with the SEA SHADOW returning to the Hughes Mining Barge prior to daylight. The Hughes Mining Barge (HMB-1) served as the docking platform for the SEA SHADOW and provided spares, fuel and shore power to support the vehicle during testing. 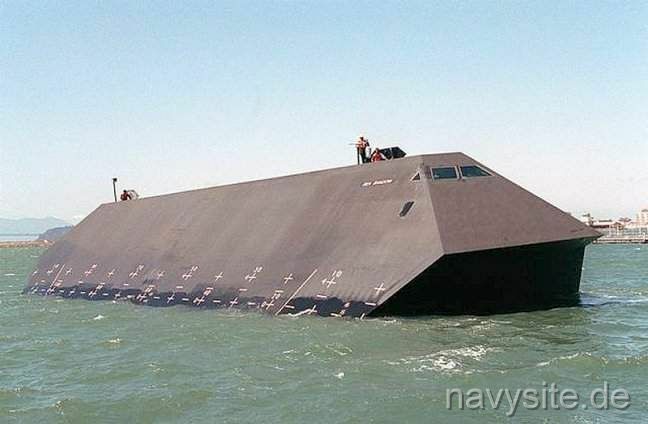 In March 1994 the US Navy and Lockheed Missile and Space Co. (LMSC) started testing the SEA SHADOW in battlegroup operations off the coast of Southern California. The tests were designed to explore the application of various advanced technologies to surface ships including ship control, structures, automation, sea keeping and signature control as well as operating in joint exercises with other Navy ships. 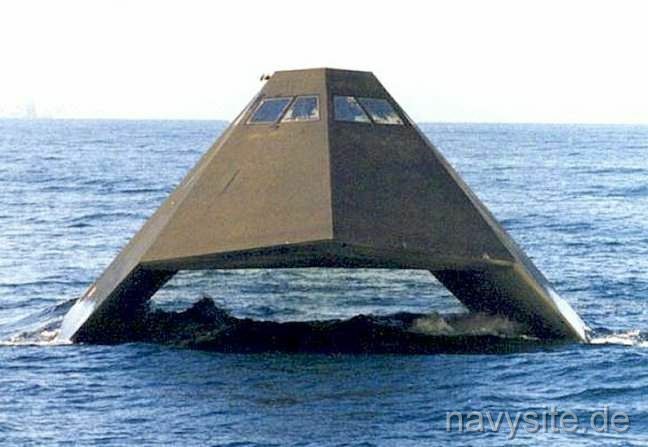 In the Fall of 1994, SEA SHADOW served for the first time as a test platform for advanced Combat Systems prototypes. These prototypes were adapted to the SEA SHADOW's test profile. The prototypes were designed to be driven by active radar, passive sensors, and Tactical Data Link 11 and 16. The test profile dictated operating in a receive-only mode for track information from Link 11, relying on off-board sensors only. The reference data, including maps and commercial airways, was loaded into the prototypes to cover testing along the Southern California coast. The two Combat System prototypes were the Automated Combat Identification System (ACIDS) and the Tactical Action Advisor (TAA). ACIDS is designed as a decision aid to automatically identify air and surface tracks based on sensor and intelligence information as defined by the tactical operators. The TAA system is a decision aid that supports a Tactical Action Officer or Warfare Commander in determining threats to the own ship based on own ship signatures, threat sensors and threat weapons. Systems such as ACIDS and TAA are of value to various platforms, but are particularly important when mission requirements dictate no operation of active sensors. The testing and demonstration of the ACIDS and TAA prototypes on the SEA SHADOW was funded by ARPA as part of the High Performance Distributed Experiment (HiPer-D) program. Following conclusion of testing, the SEA SHADOW and Hughes Mining Barge were moved to San Diego and docked at the 32nd Street pier. By late 1994, SEA SHADOW was maintained in a lay-up status and homeported at Naval Station San Diego. 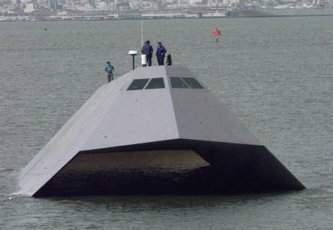 In anticipation of conducting future ship research and development testing, the US Navy reactivated the SEA SHADOW craft in early 1999. 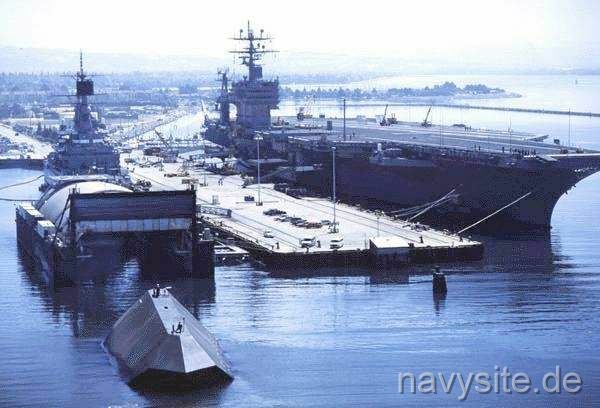 Engineers from Lockheed Martin Technical Services-San Diego managed repairs performed by the National Steel and Shipbuilding Company to make the craft seaworthy as well as to repair the vessel’s full-enclosure dry dock. Following reactivation, the crew sailed SEA SHADOW from San Diego to the former Alameda Naval Air Station in Oakland, CA. SEA SHADOW subsequently supported risk reduction for future surface ship platforms such as DD 21. The platform allowed the Navy to explore and test, in a realistic at-sea environment, important DD 21 advanced information and automation technologies that support reduced manning and ship survivability. 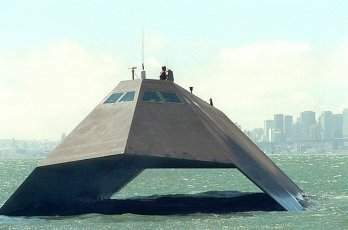 SEA SHADOW got underway at dusk on 18 March 1999, in San Francisco Bay to participate in events associated with Fleet Battle Experiment-Echo, sponsored by Commander, Third Fleet and the Maritime Battle Center. 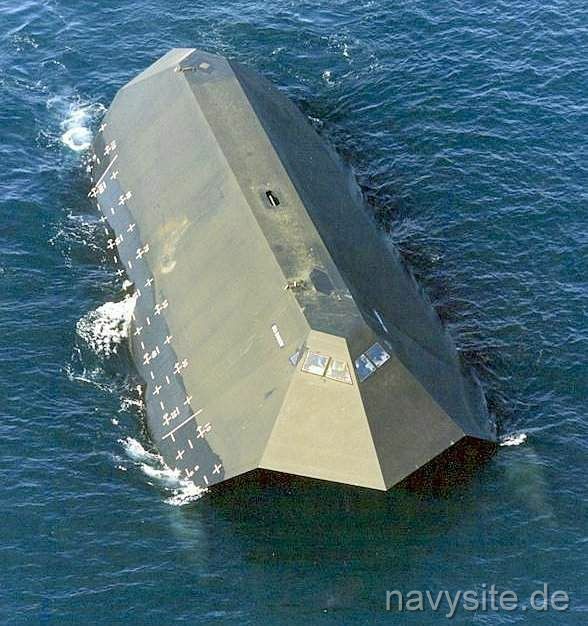 The Lockheed Martin Advanced Technology Laboratories continued to manage SEA SHADOW for the Naval Sea Systems Command Program office until the SEA SHADOW was finally retired on August 22, 2006. The ship, along with its barge were moved to Suisun Bay for lay up and are presently available for donation as a museum. However, strict Navy regulations regarding a possible museum have kept the interest in both vessel at a very low level and so it is more likely that HMB-1 and the SEA SHADOW will be scrapped in the near future.